Finding the motivation to work out is always easier said than done. After a long (and we mean, long!) 8-hour workday, the last thing we want to do is go to the gym or pop in an at-home workout video. The simple solution to feeling good? Looking good, of course! So why not amp up our workout motivation with these five must-have Lululemon essentials, all of which happen to be on sale? Sure, wearing them won’t make our workouts anymore easier, but that’s not the point. Call it the instant motivation, that has Us looking forward to the gym. This bra features flattering molded foam cups that provide high support and a natural shape throughout any workout. It’s made with cool and smoothing Luxtreme fabric that’s four-way stretch and sweat-wicking. Our personal favorite parts? The Mesh fabric panel in the back that provides ventilation and the padded straps that will keep us locked in comfortably. Above all, the bonded elements were strategically placed throughout to help prevent all of that unwanted chafing as we pound away at our day-to-day workouts and routines. See it: Grab the Speed Up Bra (originally $78) now with prices starting as low as $29, available at Lululemon! Looking for a pair of tights that we want to wear on repeat? Why not go ahead and wear the pair that was literally named with that in mind. 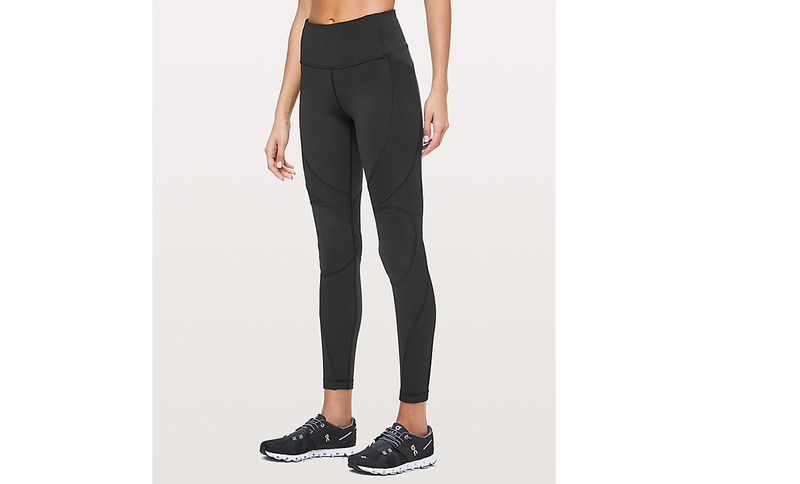 The On Repeat tights are the best solution when looking for the best of the best option. This pair won’t just survive any workout, they’ll weather any storm, too. So of course, it’s no wonder why we’d want to wear them each and every day. See it: Grab the On Repeat 7/8 Tight (originally $118) now only $79, available at Lululemon! There is nothing more in-demand than a pair of APL sneakers. When it comes to their sleek silhouette, they don’t just look good, they feel good. That’s right, they’re not only chic they’re super comfortable. Whether it’s their fit or even their feel, it’s a no-brainer why this fan-favorite shoe is so well loved. Especially since this season’s most stylish sneaker also happens to be an A-list must-have, too! 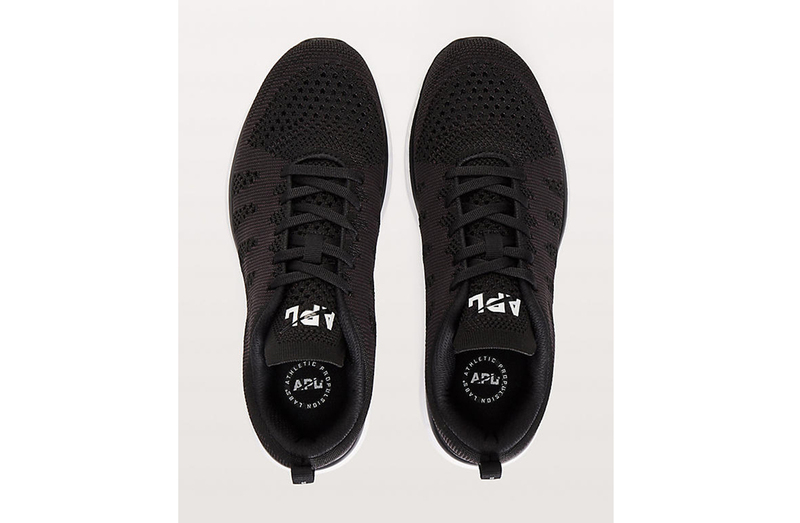 See it: Grab the APL Women’s TechLoom Phantom Sneaker (originally $185) with prices starting as low as $79, available at Lululemon! We’ve got nothing but love for this All Love Crew shirt! Available in three colors, fitness lovers can select from dark olive, white or even black. Whether we’re hitting the gym or hitting the mall, this shirt is the ideal solution when looking for a chic and comfortable option. See it: Grab the All Love Crew Striped Mesh (originally $54) now only $39, available at Lululemon! Who cares about being the bomb when we can slip into this bomber and look it? This Warm Two-Ways Bomber is the error-proof, fashion-forward solution when wanting to look and feel good all at once. The two-way reversible jacket offers twice the texture, twice the versatility and, most importantly, all of the element protection we need. Whether it’s ever-changing seasons or just ever-changing schedules, this bomber has Us covered. Created with a low-profile layer of Primaloft insulation that locks in warmth, the DWR-treated fabric shields from wind and light rain. Best of all? Shoppers can choose from either a light chrome or mossy shade, with each shade as fabulous as the last! 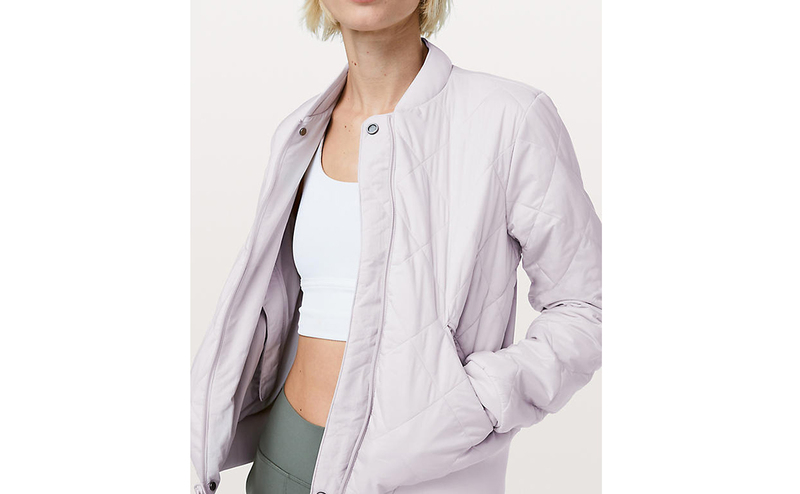 See it: Grab the Warm Two Ways Bomber (originally $148) now only $99, available at Lululemon! Not your style? Check out additional sale options also available at Lululemon!